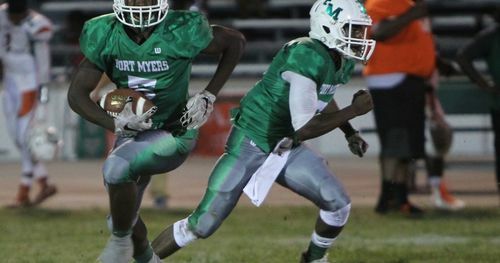 For updates on tonight's game between Charlotte and Fort Myers, go ahead and follow @NP_AdamRegan and @ByCoryMull . FM's Dawson DeGroot takes a direct snap on first play from scrimmage and takes a 2 yard loss. FM's John Briers with the PAT, Green Wave lead Charlotte 7-0 with 7:19 left in 1st quarter. 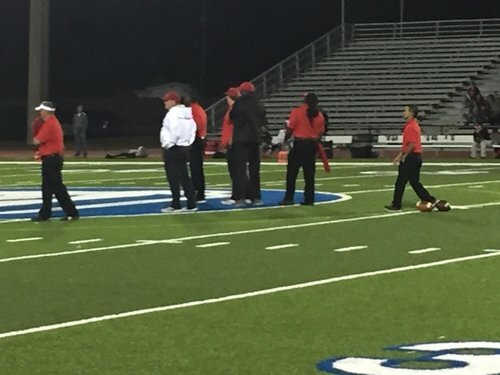 I was bounced due to a scoreboard issue. 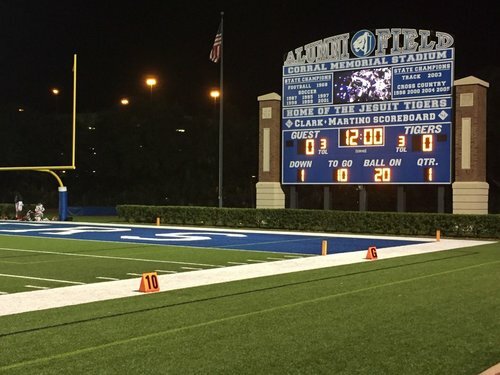 Tampa Jesuit has taken a quick 7-0 lead. I may head down to the field when Ii get the chance. TOUCHDOWN: FM's Darrian Felix bursts through a crease on the direct snap and goes 71 yards for score. 4:19 in 1st. 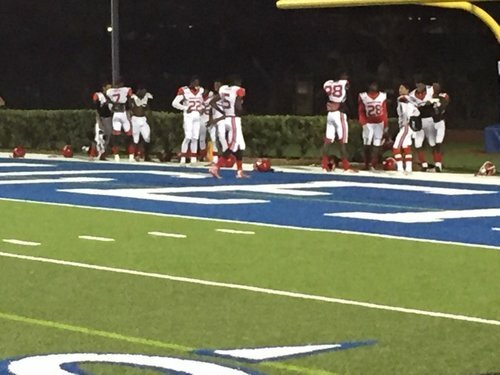 Tampa Jesuit 14, Immokalee 7. Malik Davis 71 yard TD!